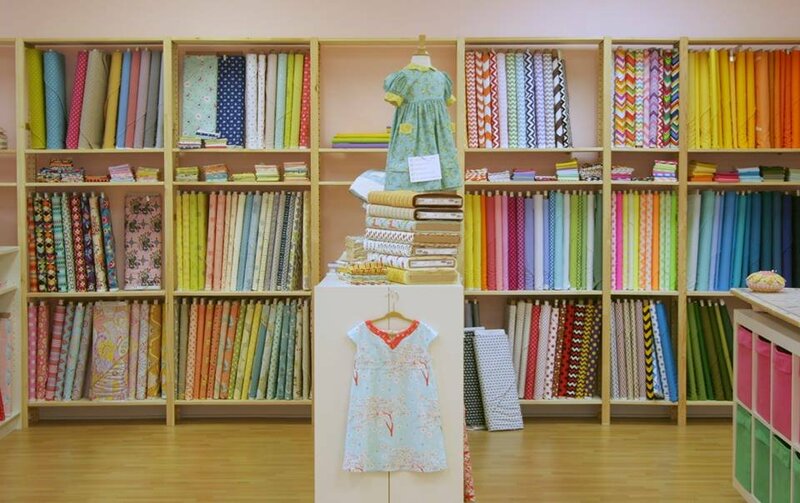 Lola Pink Fabrics is a modern fabric shop located in the heart of Lafayette, Louisiana. Lola Pink is owned by the mother-daugther team consiting of Janet (mom) and Jennifer (daughter). We have a serious love of fabrics and making cute things. Lola Pink fabrics first started in January 2010 as an online-only shop. In May 2011, we opened our brick-and-mortar shop in the On the Boulevard shopping center in Lafayette. 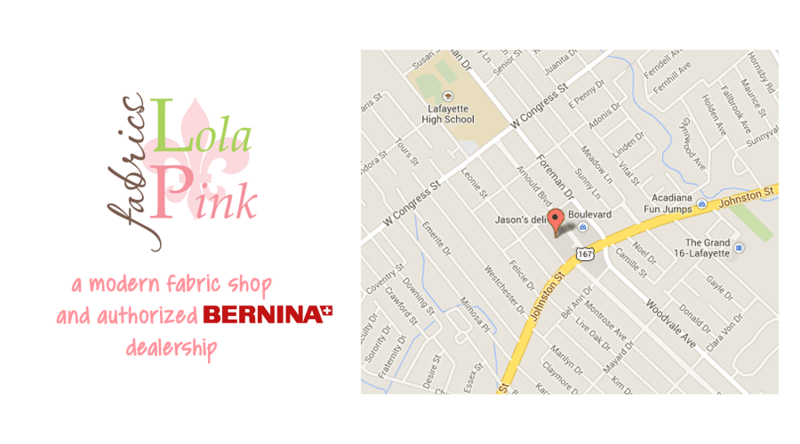 A year later we were fortunate enough to become Lafayette's only authorized BERNINA sewing machine dealership. In January we were able to move to the space next door to our original location doubling our floor space. 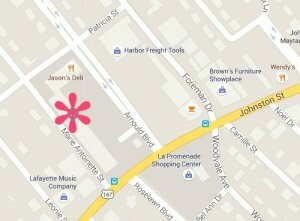 If you are in or around Lafayette, you must come by and say Hi!